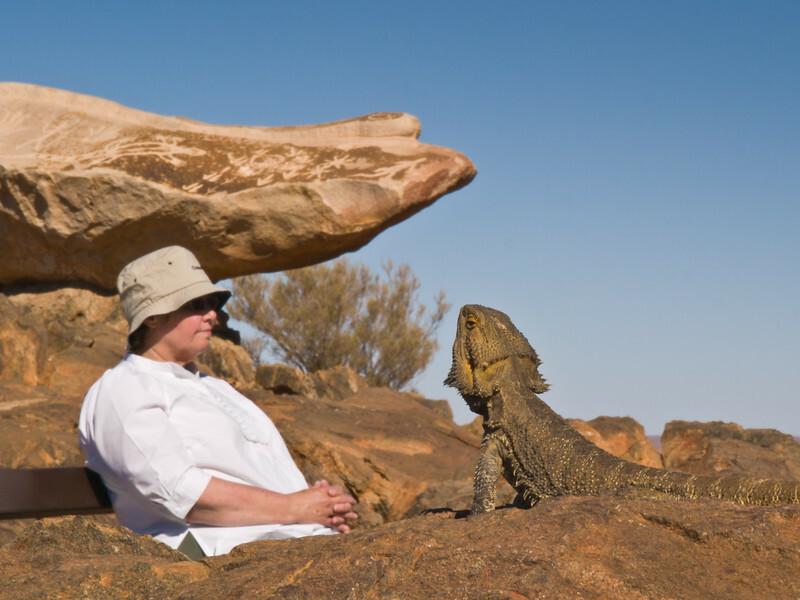 A Bearded Dragon in defiant pose with my lovely wife Annette resting and taking in the desert scenery. Don't be confused by the scale. The lizard is only about two foot long and harmless. Annette is sitting on a bench a few metres back. The markings on the rock above are not graffiti but rock art in the indigenous style.